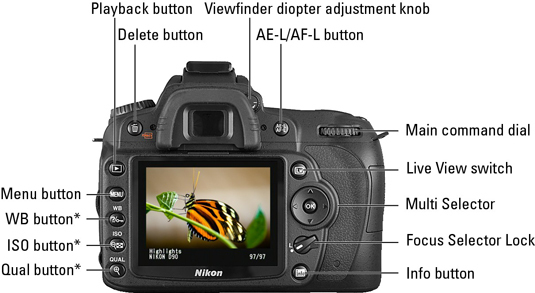 Get to know the external controls and all the functions of the automatic and advanced exposure modes on your Nikon D90 digital camera, and you’re on your way to taking great digital photos! 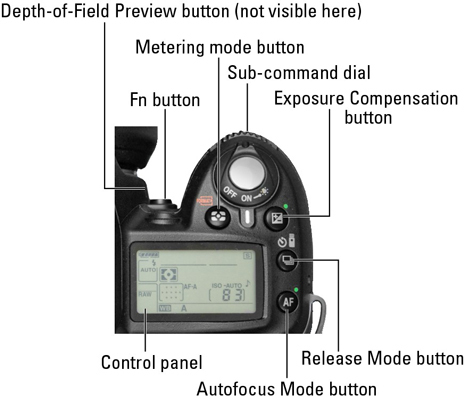 Here’s a handy reference guide to the buttons, dials, and other external controls on your Nikon D90 digital camera. The lens shown here is the Nikkor 18–105mm AF-S VR (Vibration Reduction) model sold with the D90 kit; other lenses may vary. Camera controls marked with an asterisk have multiple functions. 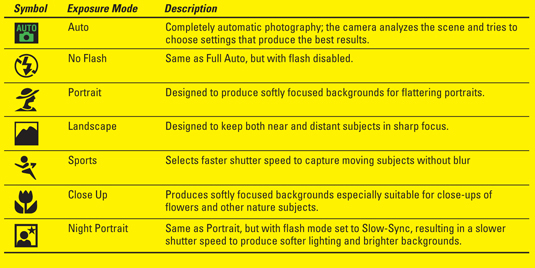 Use this table for quick explanations of your Nikon D90 digital camera’s fully automatic exposure modes, including Auto and the six Digital Vari-Program scene modes. 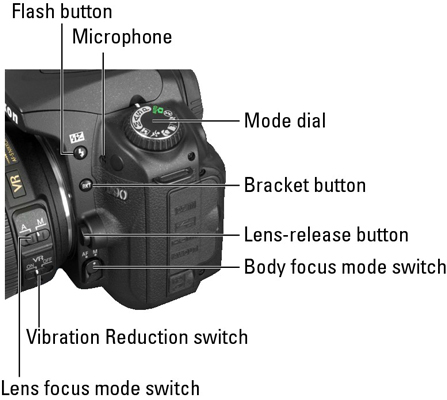 These modes let you choose automatic or manual focusing, but limit your control over most other picture-taking settings.